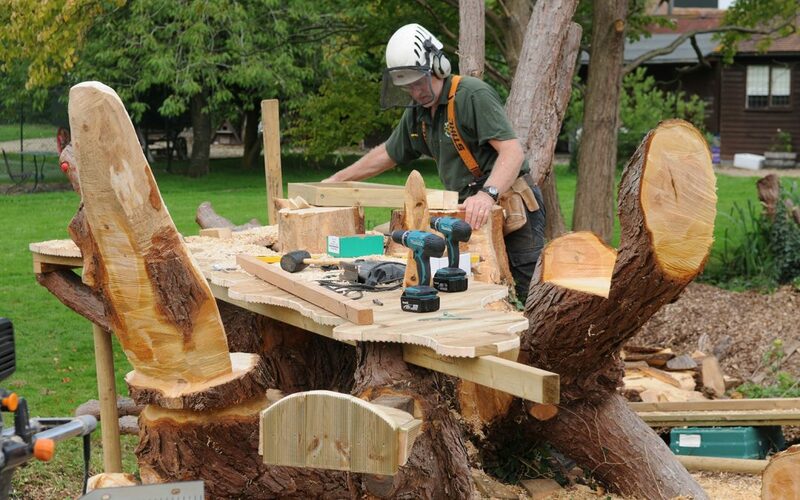 This week Oak Leaf have been invited back to a beautiful location at the foot of the Berkshire Downs to transform the remains of a Cypress tree… in to something quite different! Though most often found climbing around in trees, Rob is possibly at his happiest creating works of art that can be enjoyed for future generations. From the initial site inspection and interim sketches through to the final sanding, Rob is hands on the whole way. Here you can see the outline of a garden table with integral seating. Practical, unique and beautiful.